CHD Awareness Week, February 7-14, sponsored by The Congenital Heart Information Network (www.tchin.org) and supported by Mended Little Hearts, is fastly approaching. Let us know what you are doing to help create awareness around the nation. Most people don’t know that congenital heart defects are the most common defects in the United States. Let’s help spread that awareness. Proclamations so far that we have got a yes from- St. Petersburg, Tampa and Zephyrhills. Beef ‘O’ Brady’s and bd’s Mongolian Grill will sell our hearts during Feb for our annual heart awareness campaign. We are holding our annual Feb Heart Awareness Party on Feb 3. We will make a heart felt heart craft for families in cardio units. Also, the quilted traveling heart for awareness will be displayed at party and events. More information to come for others that want to request the traveling awareness heart be sent to your next event! 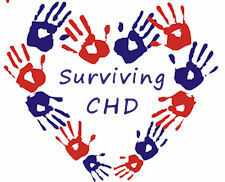 I am so excited that in WI we are not only getting a proclamation, but a resolution to be voted on by the House and Senate declaring Feb. 7-14, 2010 to be CHD Awareness week. If anyone is interested in this, please let me know by the end of January. Our local group is planning a CHD party for Feb. 14th. I am also going to use the ideas posted on the leadership board about visiting the schools. I am going to start small with my children’s 3 classrooms. I am planning on doing a craft, reading a story and having them listen to each other’s hearts. We have also found that the dress down day is very successful. I am looking for a company that may be interested in doing this. In the past, we have simply used stickers to give to each person who pays to wear jeans, but I love the idea of t-shirts. Can’t wait to hear what everyone else is doing! Ed Rendell has already signed the Proclamation for the state of PA! And TCHIN ahs received it! So we are thrilled. We are planning an event at CHP on Feb 14th. We will be serving a home cooked hot meal to all the Cardiac families and we will have a Care bag and information for all of them. We are also working on an Awareness event at a local restaurant/Tavern. A Dinner Special and Drink Special for the day that when purchased a proceed will go to our funds. All workers can wear our shirts for the day and spread awareness. Pass out stickers to the kids too! We also received the proclamation from the state of Florida. We were in several newspapers raising awareness and were on Studio 10. Im a soon to be mommy of a baby with a few chds in march. I live in sacramento i was wondering if anybody knew if there were going to be any walks for awareness week here? If so where or what website do i go to to sign up? Ive looked at a few websites but dont see any.